Train accidents are luckily not very common but when they do occur the potential for serious injury and even death can be very high. When a train collides with another train or vehicle or derails the damages can be catastrophic to both property and lives. As a passenger on a train you can seek a settlement for your injuries from any personnel or the company itself who can be shown to have been negligent or responsible. If you have been injured in an accident involving a train, you should contact a personal injury attorney at Van Sant Law, to find out how we can legally represent you in pursuing a claim against the responsible parties. Some train accidents are caused by the actions of other drivers who attempt to cross in front of an oncoming train or who ignore the crossing lights or signals. Determining the responsible party is such an accident can be a complex matter but we have helped many clients receive the settlement they needed following such an accident. Investigation and collection of all the evidence surrounding a train accident whether it is a collision or derailment is a key factor is establishing liability. Our own investigators are well trained to pursue all the relevant evidence and testimony. 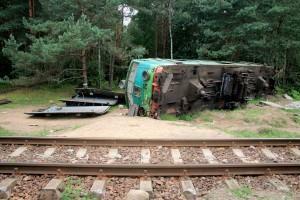 CONTACT AN ALPHARETTA TRAIN ACCIDENT ATTORNEY TODAY! After any train accident the authorities will investigate and we work closely with them to help our clients seek the compensation they deserve. There are many laws and regulations that govern the maintenance and legal responsibilities of a train company for their equipment, tracks, personnel, and passengers. It can be a complicated legal matter to pursue. We know what it will take and it can be done. If the railroad company is found liable then we can fight to get you a settlement for your medical and other expenses including you pain and suffering. Call our offices today to arrange a consultation to discuss your experience and your injury. We can review the details of your case and explain what your legal options might be. Call today!